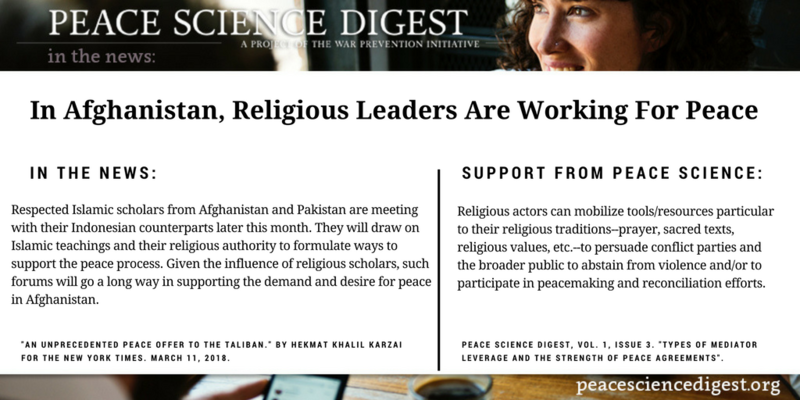 The important role of religious leaders in shaping and supporting the peace process in Afghanistan. “An Unprecedented Peace Offer to the Taliban”. By Hekmat Khalil Karzai for the New York Times. March 11, 2018.